A beautiful and fast moving eruptive prominence observed today... at its height, 100,000 miles above the surface of the sun. 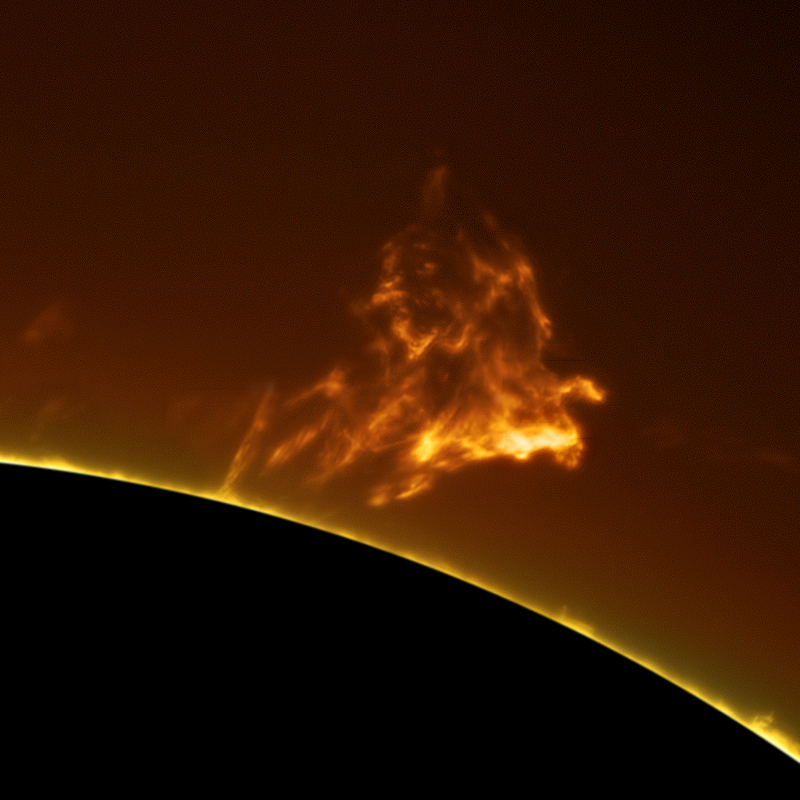 In 30 minutes, it had collapsed back into the solar chromosphere. See a sequence of images here.